Skin lightening or bleaching is a very popular cosmetic practice around the world, especially for the elderly population who are trying to eliminate age or liver spots, and the black and Asian population who seek brighter, lighter skin. However, recent medical studies have discovered many dangers associated with the use of the cream and the practice of skin bleaching. Over the counter and prescription skin bleaching creams have many beneficial uses. Older individuals apply them to lighten or eliminate age spots, liver spots, and discoloured areas of the skin that have been damaged by sun exposure. Dark skinned individuals, Asians, and individuals with uneven skin pigmentation or skin that is discoloured from disease or infection also use the cream to achieve brighter, lighter, more even looking skin tone. These prescription or over the counter skin remedies use chemicals to bleach the skin and remove surface pigmentation in the skin cells. These preparations only contain a small amount of bleaching chemicals and are only formulated to be used for short, specific amounts of time (usually two to four weeks in duration). When used according to the directions these creams produce adequate results without causing skin irritation, infection, or other medical problems. Skin bleaching creams become a danger when they are used incorrectly and for longer than recommended periods of time. Since numerous individuals are seeking lighter, more even skin tones for purely cosmetic reasons they can not obtain a prescription for safe skin bleaching creams. And, since the over the counter cream options rarely produce adequate results, these individuals have taken to buying their creams illegal. Illegally sold skin bleaching creams are easily accessible and are quite effective at eliminating pigmentation in the skin. However, because they sometimes contain illegal substances like hydroxyquinone, or unsafe amounts of corticosteriods, they are very dangerous when used repeatedly. Hydroxyquinone is illegal in most areas due to its high incidence of causing severe skin irritation. 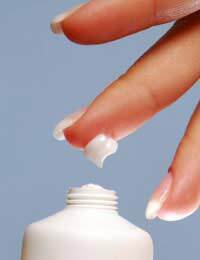 Corticosteriods are used in small amounts in prescription skin bleaching creams, but the higher doses in illegal creams can disrupt the hormone system of the body and cause problems with hormone levels. When individuals repeatedly apply skin-bleaching creams with high levels of corticosteriods, in some cases daily use for five to seven years, their bodies become accustomed to receiving the steroid through the cream and their hormones level drop extremely low. This hormone imbalance can lead to thinning blood, excessive bruising, skin irregularities, weight gain, and problems with the reproductive system. In one documented case prolonged use of illegal steroid cream led to a diagnosis of Cushing's Syndrome- a hormonal disorder that results in thinning skin, the development of stretch marks, weak bones, fatigue, muscle weakness, high blood pressure, and anxiety. If you are currently using an illegal skin bleaching cream, or if you are using an excessive amount of prescription skin bleaching cream for longer then the recommended treatment time, you need to discontinue use of the cream immediately and schedule an appointment with your doctor. If you want to enjoy the benefits of skin bleaching while avoiding the potential dangers, you should buy an over the counter cream that contains lower doses of safe ingredients and discuss their use with a doctor or pharmacist before beginning treatment.